Mental health is as important as physical health, or at least, it should be! The brain is an incredible organ, controlling everything we do, whether we’re conscious of its workings or not. The causes of mental health disruption can be intricate, and can be causal, situational or a combination of both, but diet is a key part of getting, and staying, balanced. Feeding your body and brain the right foods and nutrients to support mental health (and the function of the brain, adrenals and gut) is now recognised as one of the single most important steps everyone should take as a foundation for controlling anxiety, balancing mood, and protecting yourself from stress. Knowing what other factors affect brain function, what to do (or not do!) and how to go about taking control for ourselves is essential too. This session looks at the what, why and how you can ensure the best environment for optimum functioning, including wider factors and interventions. This is an interactive session, with the opportunity to ask questions, so you leave ready to eat to beat stress, depression and anxiety, and protect not just your own mental health, but your loved ones’ too! You’ll be able to choose one of the three Happy Brain Series packs worth £10 as a complimentary gift to use after the event to carry on the good work! Early bird tickets available until May 26th. Limited places. Terms and conditions: all bookings are final and non-refundable. If you are unable to attend for unavoidable reasons, it may be possible to attend a later event if there is space. After a few days of strange, unusual, and if I’m honest, chaotic events (culminating in nearly running over a suicidal seagull focused only on the lollipop clamped jealously in its beak, proving how dangerous junk food is! 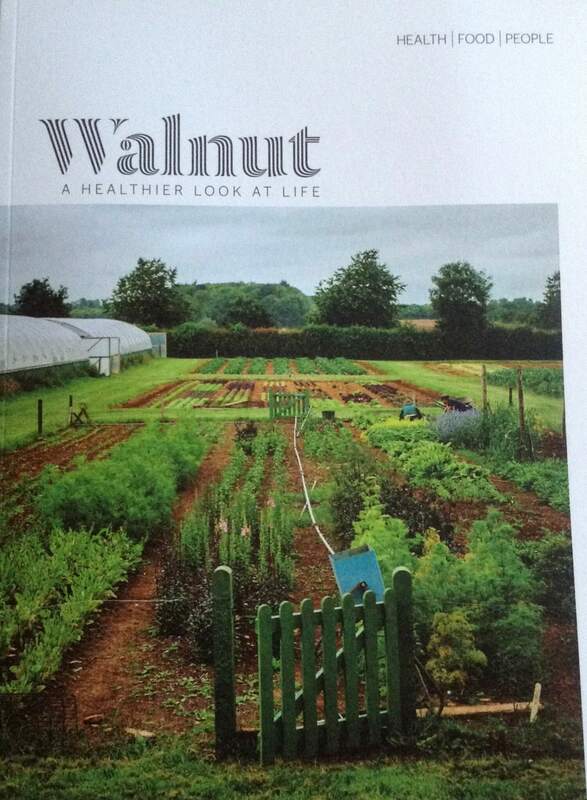 ), I was thrilled to receive the inaugural copy of Walnut magazine – I was approached to write foodie health articles for it a while ago and completely forgot about it, so this is my first view of the finished mag and my mental health nutrition article. Welcome to Walnut! Great stuff, Dermot! Boost mood with food for better mental health…..
Great news! I was first switched on to the impact of food on mental health at an international conference nearly 15 years ago, and haven’t stopped studying it since. Evidence of those early pioneering theories has gradually grown as research was commissioned. The more research emerges, the more is commissioned, and so we begin to really join up the dots. It’s really hard work making progress without a body of major scientific evidence, but it does look like a corner has been turned and the food-mental health link is now accepted enough for a real food for the brain message to be listened to. With mental health statistics and the numbers suffering reaching crisis point, it’s not a moment too soon. ‘Director of Deakin’s Food and Mood Centre Professor Felice Jacka said the results of her team’s new study offered a possible new treatment approach to depression, one of the world’s most prevalent and costly medical disorders. “We’ve known for some time that there is a clear association between the quality of people’s diets and their risk for depression,” Professor Jacka said. “This is the case across countries, cultures and age groups, with healthy diets associated with reduced risk, and unhealthy diets associated with increased risk for depression. 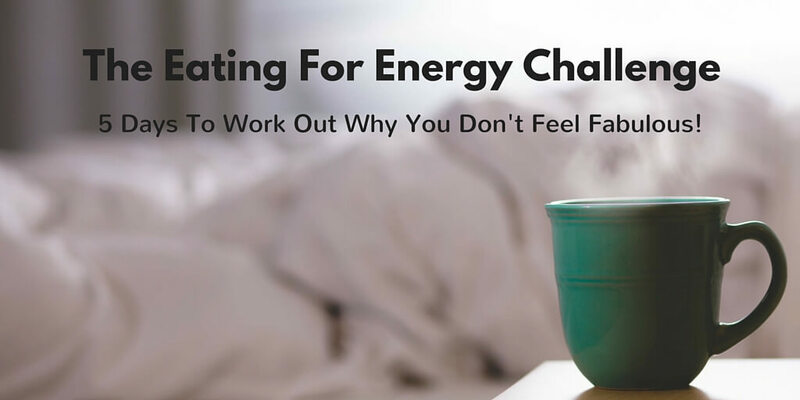 Eating for Awesome Energy Levels – Take the Challenge! What an amazing lunar eclipse on Sunday night! It happened at 3 am here in the UK, so I set my alarm, and spent a rather eerie time watching the moon turn red, sitting in my back garden, in total silence. I must admit to being tired on Monday though – extra attention was paid to what I ate to boost my energy levels and enable me to achieve everything I needed to, even after a disturbed night. Very appropriate then that this week I’m launching a free 5 day challenge to share my secrets, with busy people the prime focus. How’s your energy? Morning brain fog? Afternoon sleepy slumps? Evening super-snacking? Desperately waiting for wine o’clock? The energy we need to accomplish everything on our daily to do lists can vary as wildly as our energy levels themselves. The important thing is that we have the necessary resilience to deal with everything that life throws our way, including the things we want to do, not just have to do. Too exhausted by work and responsibilities to play football with the kids, go on that night out, or have friends over for dinner? Plagued by headaches? Feeling irritable or stressed? Then something is missing, and the first place to look is your diet. 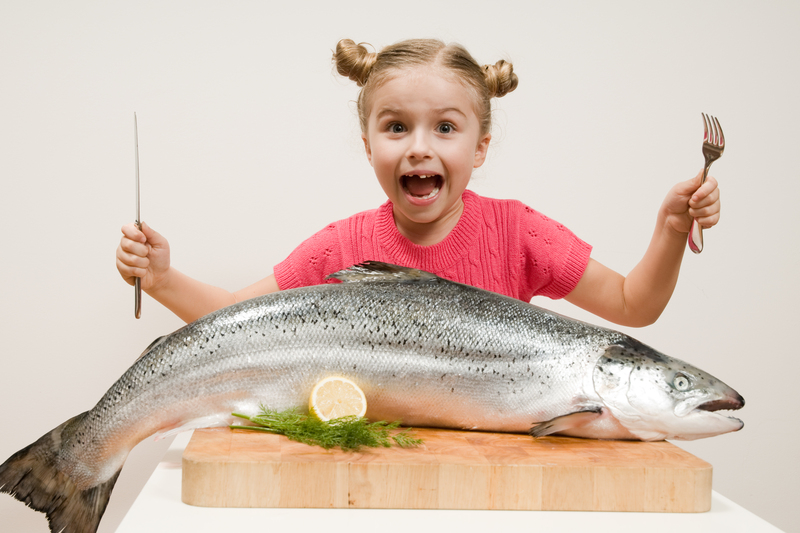 What and how you eat has a huge impact on your energy levels, mood, and all round health. Will that affect your productivity? Absolutely! Does it have to be hard to turn around? Not at all. Sign up, receive a booklet to record your food and feelings, and at the end of the 5 days, share your results in either the dedicated challenge Facebook group or by email. Simple. The best news? You get my professional input on your results and reflections, absolutely free. Hop on over and sign up for my free 5 day Eating for Energy Challenge here: I’m ready for more energy! With nearly 20 years experience as a holistic functional nutritionist, and a demanding family life, I can beam in on core issues like a hawk, while understanding the demands of being focused at work, with a life outside business. Implement my recommendations for small, achievable changes, and you’ll be able to see results quickly and easily. Do you want to feel better, be better, and do more? Let’s rocket your health, energy and productivity skyward together…..
Life is hectic, but we don’t need to feel frazzled. I’m looking forward to helping you work out how to go from OK to awesome! Your weight is a reflection of yourself, your life and your relationship with food. We all have a ‘happy’ weight, a natural shape that we are born to be, and which we naturally find when eating the way we are designed to eat. Factors such as stress, lifestyle, self-esteem, lack of time, food choices, nutritional status, and even medications, can affect our weight. There IS a better way! The Body and Soul Club – changing minds, not just bodies! feel good in the latest fashions? The Body and Soul Club is about real food for real people living real life, not fads, rules, denial, replacing meals, and sky high expectations. and break through the body, mind and spirit roadblocks sabotaging you! weighing is optional and private, but everyone is accountable for putting the knowledge into action…. There are limited spaces available to ensure I can give everyone the input they need – email me to enquire about available courses or spaces in the first instance, or join the waiting list. I ask a 6 month commitment – we’re changing minds and bodies! PLEASE NOTE: the commitment is for the full 6 month term of the programme – all subscriptions are due regardless of attendance. 3 June-18 November 2015- meetings run fortnightly on the first and third Wednesdays of the month, from 7.30-8.30 pm, with the personal coaching Q+A from 8.30-9.00 pm. Joining fee – £25 with a session fee of £7.50, billed as a monthly £15 payment. Other day and evening courses coming soon – email to be informed first of the next available club sessions. Come and reach your happy weight with us! Our mission? The ultimate holistic infusion of nourishment, knowledge and experiences, with plenty of time to just be. Reboot body, mind and spirit – creative experiences – fabulous facilitators and world class instructors – optional yoga and meditation sessions – time and space to truly unwind – stunning locations – gorgeous food! Whether it’s Nourish Renewal, Recovery, Health or Soul, one is bound to be just perfect for you! Rest, replenish, and restore body and mind in the Regency splendour of Sharpham House in beautiful Devon – the ultimate reboot! Nutrition know-how – real food for real life – daily juice and smoothie masterclasses – intros to vibrational medicine techniques – creative workshops – create flower essences or aromatherapy creams – meditation, mindfulness, and more – the mental makeover with the amazing Barefoot Doctor – optional yoga, plus extensive grounds to explore and enjoy! Various rooms and rates, subject to availability, from £595 to £1295. Twin shared rooms (single occupancy available at extra cost) with shared bathrooms; 2 triple rooms, one ensuite; small number of ensuite or single rooms; one magnificent four poster double room, with 2 additional double rooms; beautiful views over the park or a charming courtyard. Secure your place with a deposit today! Full payment required by 1 March 2015. Payment plans available – email or call for details. Book now! Click here for the Nourish Retreats website. Boost your brain with a smoothie! Whizz up this Brain Boost Smoothie for breakfast if you have a busy, mentally demanding day ahead – the protein, healthy fats, antioxidants, minerals and vitamins will keep blood sugar release steady, brain function sharp, and concentration focused. 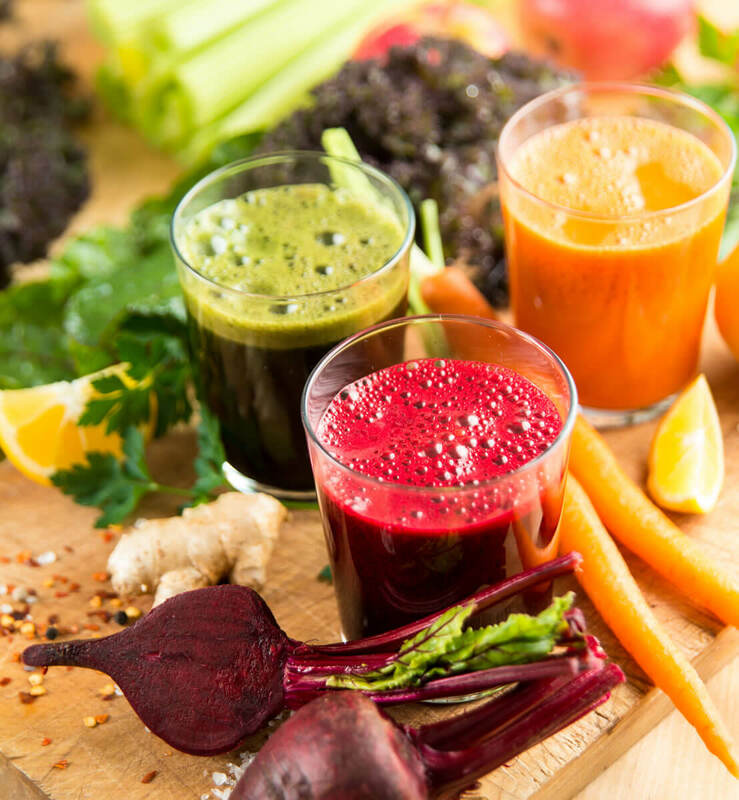 Just one of the smoothies in the smoothie and juice mini-book I’m currently writing – taking the fruit acid, calorie and fibre considerations into account, there are ways to utilise the real supercharging value of smoothies and juices as part of broad and balanced daily eating. So, go ahead and boost those brains! Enjoy! Chuck in a blender/smoothie maker, whizz and enjoy!